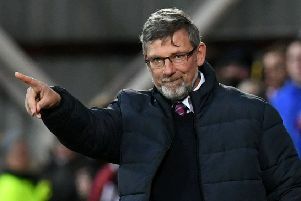 Hearts boss Craig Levein says the days of managers staying with one club for decades are gone but that has not lessened the shock of Brendan Rodgers’ impending Celtic departure. Levein was due to be lining up opposite the Northern Irishman at Tynecastle on Wednesday night with his side hosting the Hoops. But instead, Rodgers is on his way to Leicester after being granted permission to speak to the Foxes about replacing Claude Puel. The news that the Celtic boss is set to quit with just 11 games left of the league season has taken the Gorgie chief by surprise, especially since Rodgers looked primed to wrap up a historic treble treble as well as being on course to lead the Parkhead outfit to ten titles in a row. But, having previously had a stint in charge at the King Power himself, Levein can understand the former Liverpool boss’ desire to return south. “They’re a Premier League club in England, playing in what is arguably the top league in the world right now,” he said. “I can see the attractions of course. “It’s a surprise, though. Listen, I don’t know Brendan’s thought process. I know he was very good for Celtic. “He was on the brink of doing something quite spectacular - but obviously I’m not Brendan Rodgers and don’t know what his motivations are. “He’s a very good manager. Very good. He came very close to winning the Premier League down south with Liverpool and carried that on with Celtic. I’m sure he will do well with Leicester if he goes. “I don’t think he could do an awful lot more than what he has done up here in all honesty. “In some ways, I’ll be sad to see him go as he’s been good for the game up here. “But things change, times move on and he’s decided he wants a new challenge. I think more so (that managers have a shelf life) than 20 or 30 years ago. The days of people like Arsene Wenger or Sir Alex Ferguson staying at one club for a very long time, I think that is very difficult now.